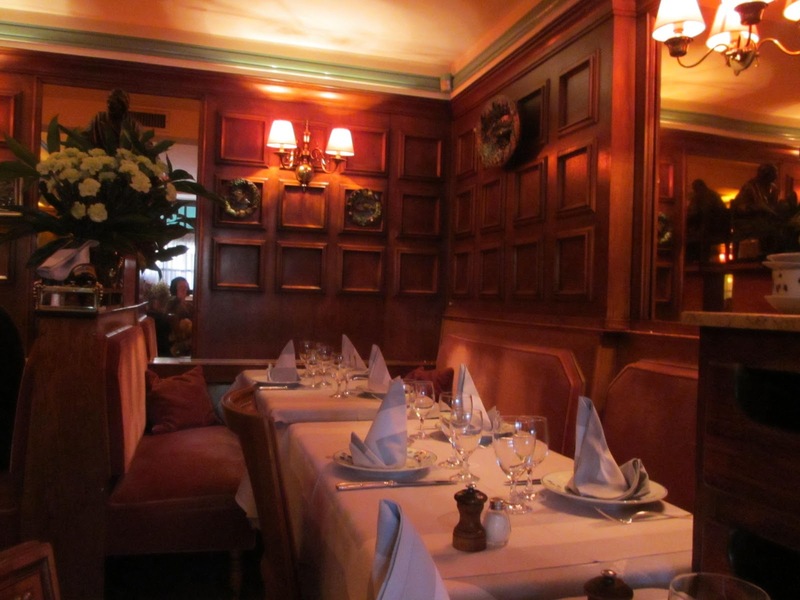 We all know that Paris is the capital of Fashion but also the Mecca of great Bistros-Brasseries. 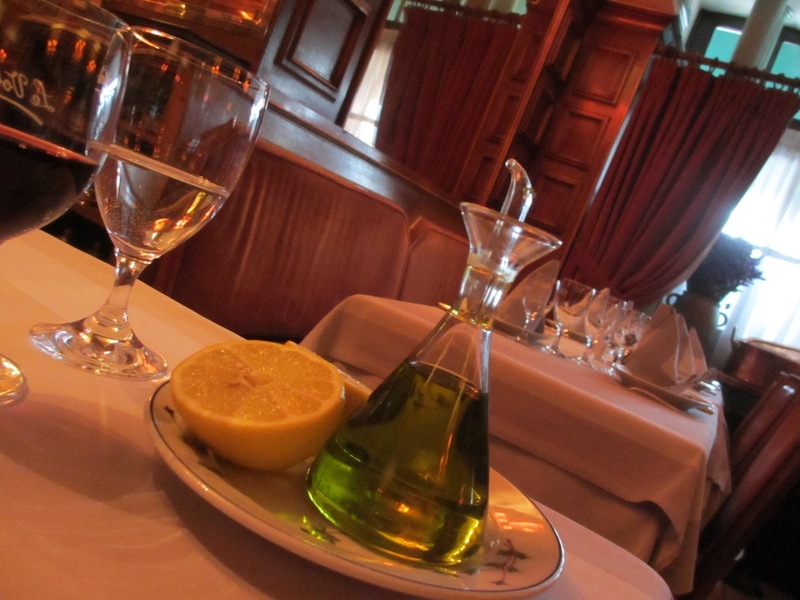 If you are dining here during fashion week, you might sit next to Anna WINTOUR or TOM FORD, but you will probably spend more time gazing on the dish you ordered like Sole Meunière, suffused with butter and lemon or an Oeuf Mayonnaise “James” named for an American GI who was a customer during the Liberation. 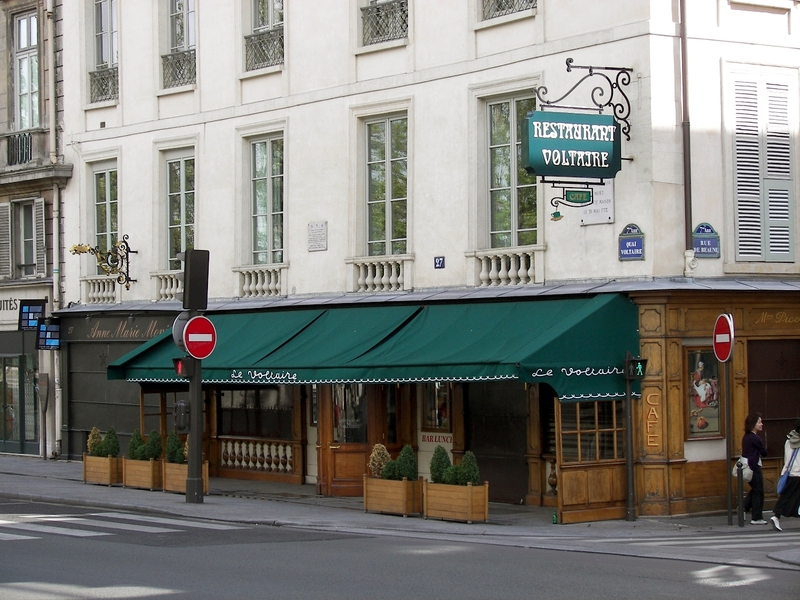 Le Voltaire which parfumeur Frederic Malle calls “ the most grown-up jet-set bistro in Paris” has its perfect riverside setting. 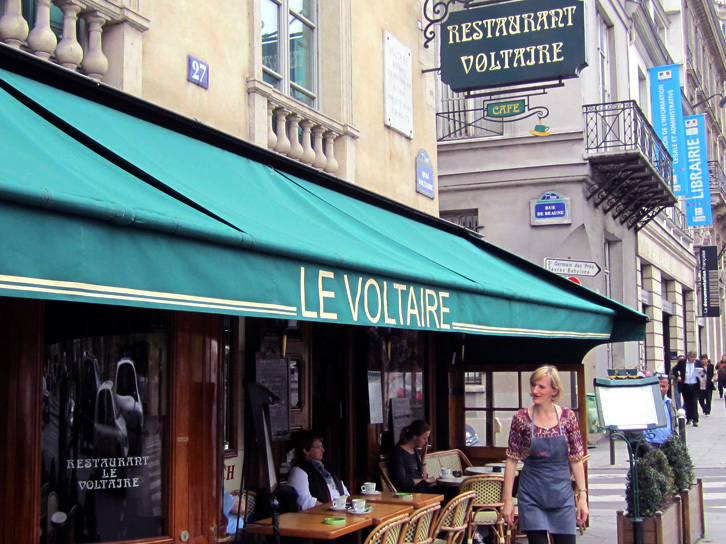 Situated on the Chic 7th arrondissement, Le Voltaire is perfect for a midday pit stop between museums. Visit Le Louvre in the morning. Then, cross Pont Royal to Le Voltaire. After lunch, walk to nearby Musée D’Orsay. I would recommend you the excellent, creamy vegetable soup and fluffy omelettes filled with morels and Swiss cheese. 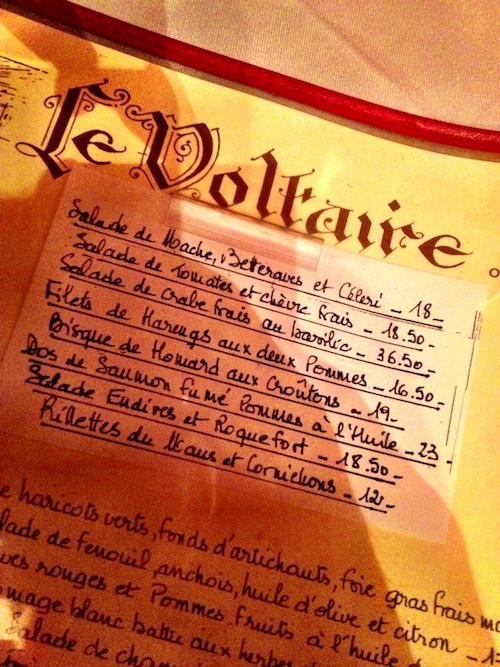 Le Voltaire, 27 Quai Voltaire, 75007 Paris.